Here is the latest from the D52 Board of Education in the April Board in Brief! 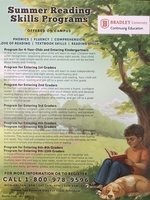 Bradley has a continuing education summer program. Flyer is attached! Here is the latest from the D52 Board of Education in the March Board in Brief! Here is the latest from the D52 Board of Education in the February Board in Brief! Please click the following link for the Kindergarten Sign-up! Please refer to the following documents to find out more about Snow Days and Late Start Days. 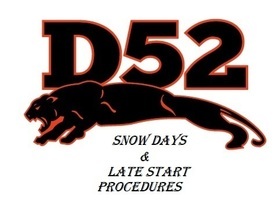 Here is the latest from the D52 Board of Education in the January Board in Brief! 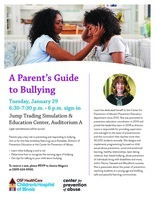 OFS Children's Hospital of IL Center for Prevention of Abuse is presenting a seminar on "A Parent's Guide to Bullying" on Tuesday, January 29th. Please be sure to RSVP to Jessica Maguire to reserve a seat at (309) 624-5900. 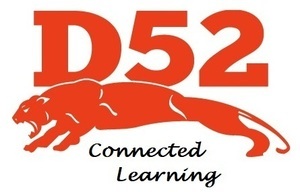 Please find the latest update from the D52 Board of Education in the December Board in Brief! 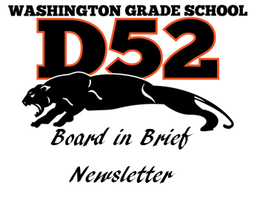 Please find the latest update by the D52 Board of Education in the November Board in Brief! Here is the latest discussion and actions taken by the Board of Education in the October Board in Brief. 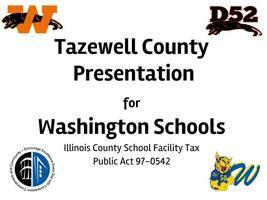 Please refer to this presentation for more information regarding the Tazewell County Sales Tax. Feel free to reach out to us with any questions. Get caught up with action and discussion from the September Board of Education Meeting. Please click the link for more information regarding D52 Early Childhood Screenings! By appointment only. 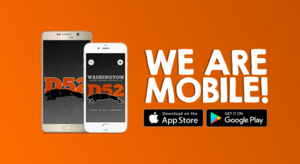 Be sure to download our new app! 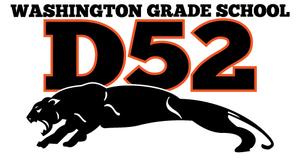 Simply search, Washington grade school d52, in the app store and download!